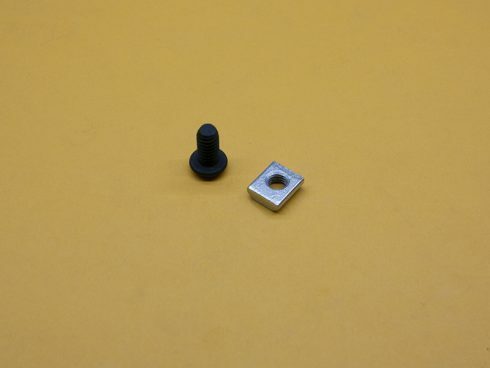 10 or 25 Series M6 x 1.0 Standard T-Nut & 12mm long Button Head Cap Screw, TNUTZ Part #COMBO-010-E. The T-Nuts will fit in the 10 or 25 Series extrusions and can only be loaded from the end. These Nuts are the Standard Style and great for heavy-duty applications.